We harvested our first tomatoes from the plant. They actually came off the plant several days ago but I couldn’t bring myself to eat them. But tonight that all changed. The big boy got cut up. The little one was spared. I broke down and ate the little one yesterday. Cobia was on the menu tonight at a local restaurant. Cobia? Thanks to this wonderful blog post, I know now a fish. The cobia (Rachycentron canadum) is a carnivorous marine fish that can reach a maximum size of 6 feet (183 cm) and 150 pounds (68 kg), cruising reefs, piers and oil rigs for crabs, fish and other prey. Its large, broad head and almost shark-like body shape is unmistakable to sports anglers around the world. Cobia are also farmed as food fish in China and Taiwan, and cobia aquaculture is under development in the United States as well. Now, researchers from the University of Maryland’s Institute of Marine and Environmental Technology have announced a breakthrough in cobia farming — by cultivating cobia using a purely vegetarian diet. 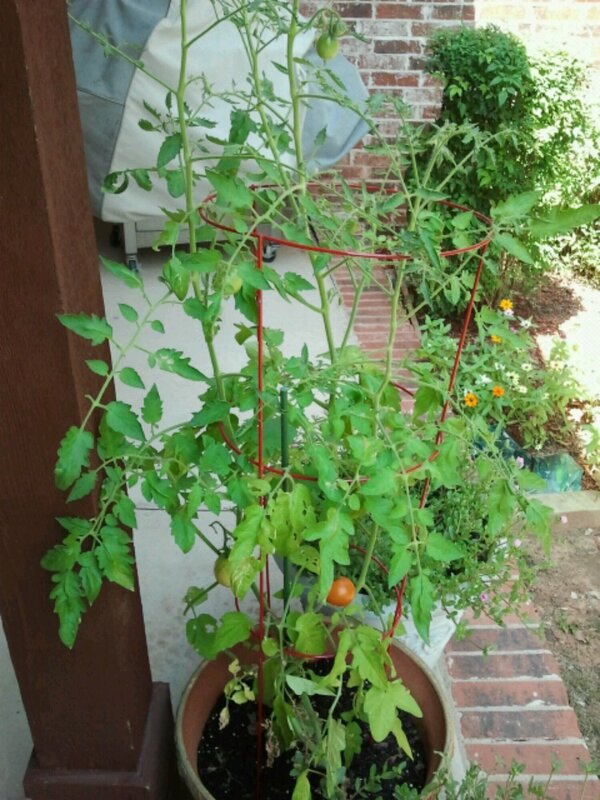 For all of my new readers, this is my first tomato plant. Hence, my fascination with actually growing something. 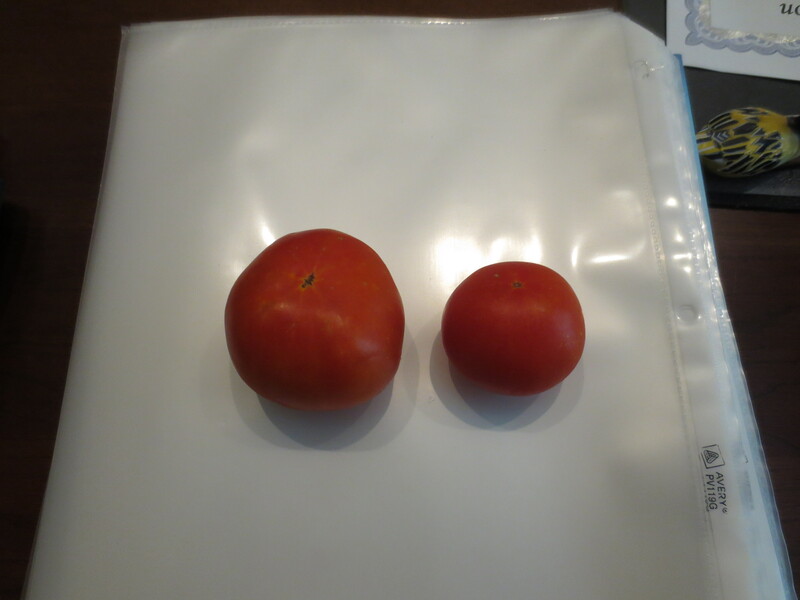 I have tomatoes! But I’m trying to figure out why I only have two.